Changes coming to what you can recycle in Stratford. Photo supplied by www.bra.org. While the City of Toronto might be on the hook for millions of dollars when it comes to managing contaminated recyclables, that’s not the story for Stratford. The level of contamination China will accept in recyclables has gotten much stricter and a report by Toronto city staff found that means the city could be on the hook for $9.2 million dollars by the end of the year because they wont be able to sell the recyclables. China is the top market in the world for buying recyclables and while that means some areas around the world will see a big hit, Stratford wont be among them, according to the man who leads the company that handles our recycling. 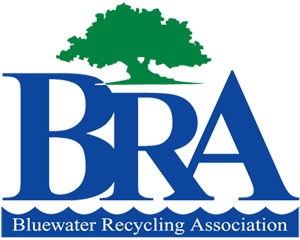 Bluewater Recycling Association President Francis Veilleux says that’s because our city is prepared. Veilleux adds Stratford doesn’t often deal with China over recyclables as well, another reason why the city wont be hard hit.